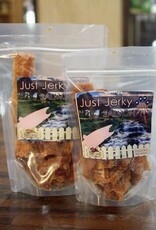 Finally, a jerky that's meat. And only meat. 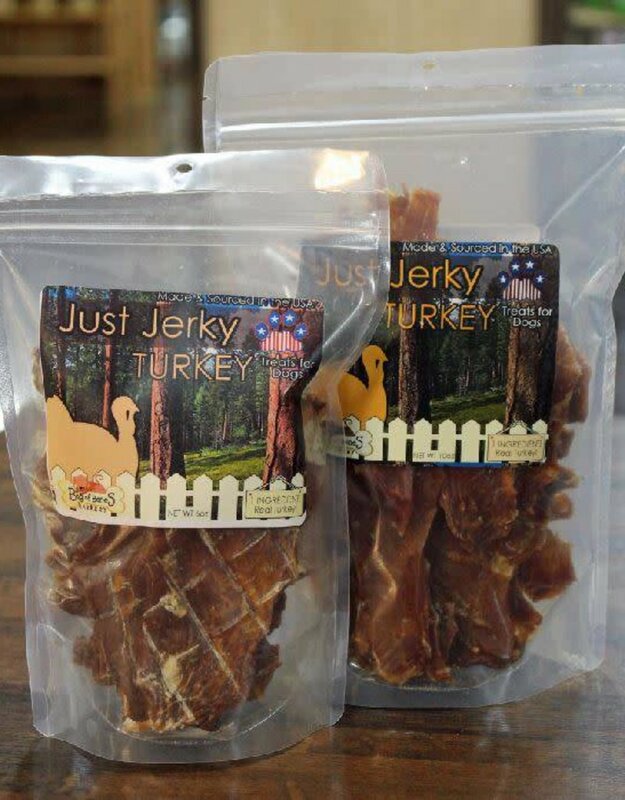 And not just any meat. 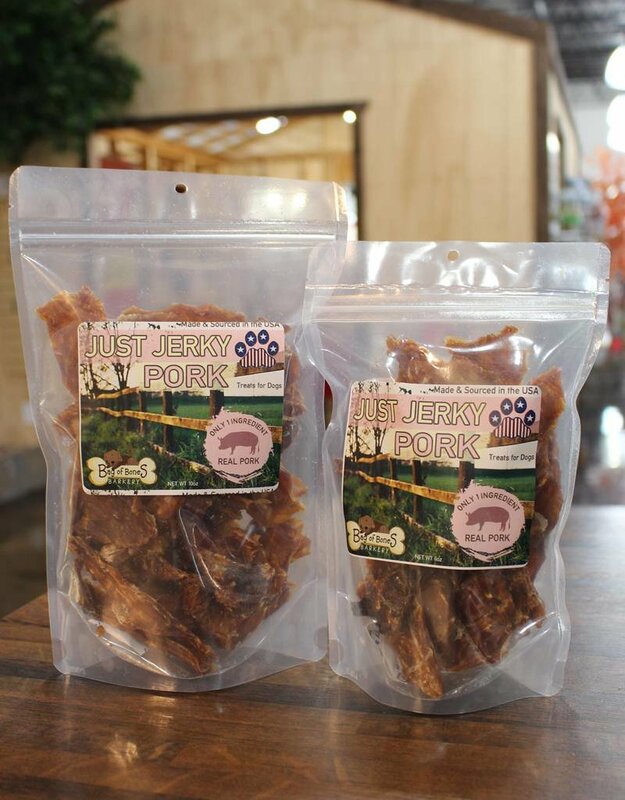 At Bag of Bones Barkery, we use the finest restaurant-quality, human-grade cuts from farms and sources in the USA. We slice, bake and dry our meats entirely by hand. 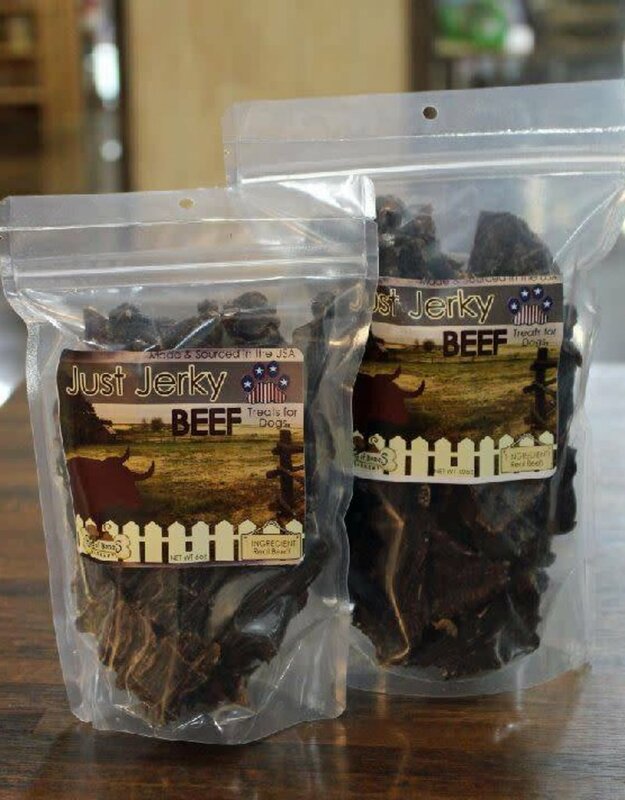 We dehydrate it at low temperatures over longer periods to ensure a tasty, safe product for your pets. 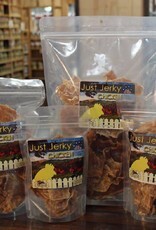 And, of course, as the name implies -- each recipe is only 1 ingredient. 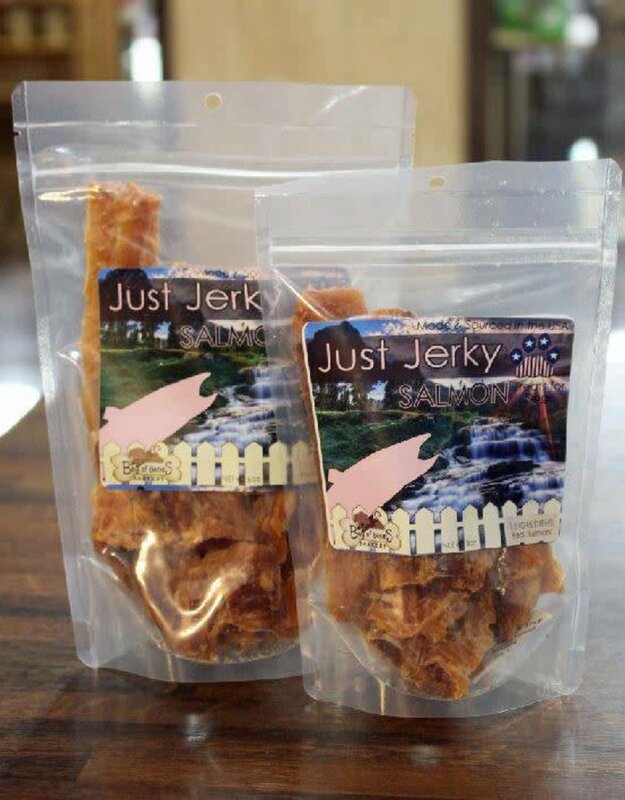 We have our jerky tested by our local feed lab to ensure safety, and we dry our jerky the same way each and every time to ensure quality throughout the process. 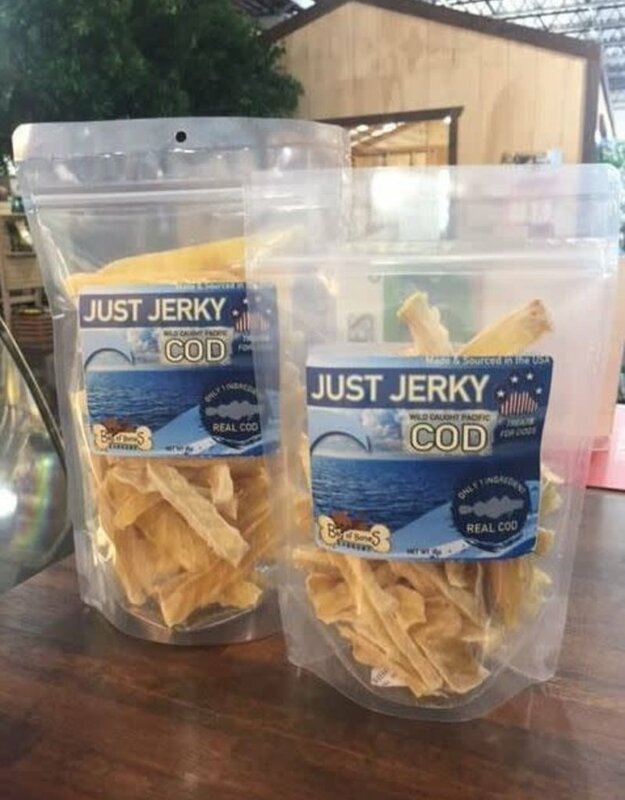 We don't add ANYTHING to our jerky. Nothing. 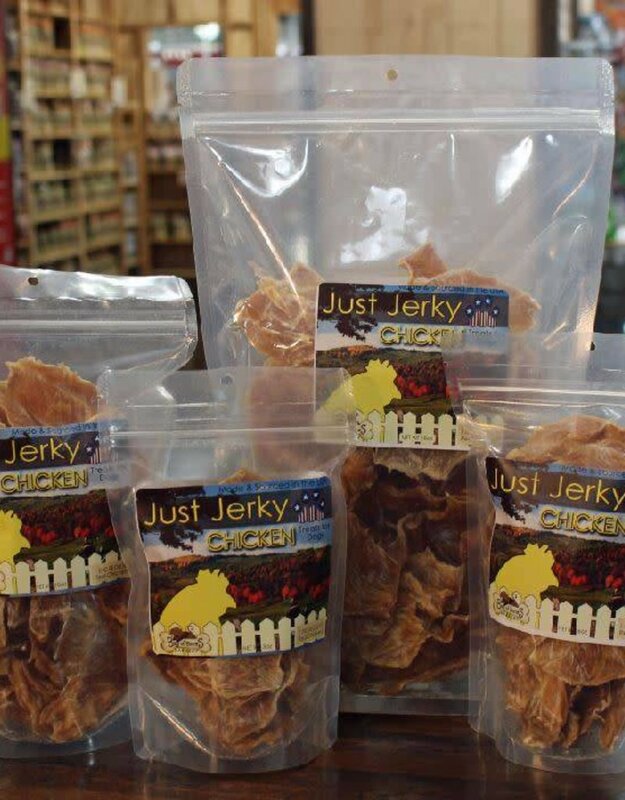 Our unique drying process ensures proper shelf life without the use of preservatives. 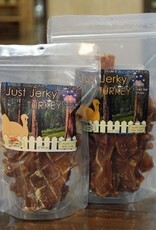 It means the jerky is a bit more rigid than normal, but to us safety is more important than texture. 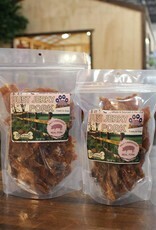 And hundreds of rave reviews from our canine (and feline) customers can't be wrong. 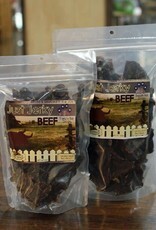 We know there are cheaper, easier and less time-consuming ways to make jerky. But we like our way. And we think your pets will, too. 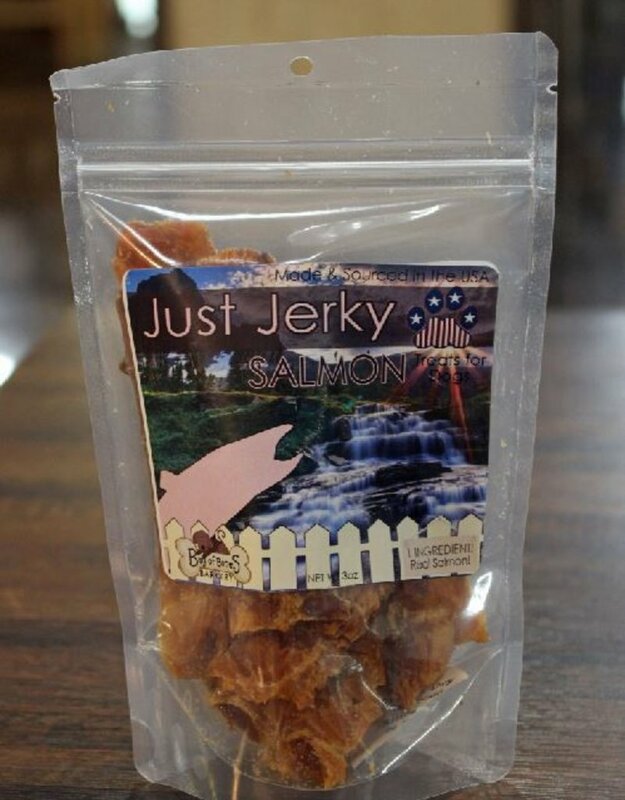 NOT FOR HUMAN CONSUMPTION. 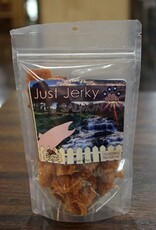 MEANT FOR SUPPLEMENTAL FEEDING ONLY. 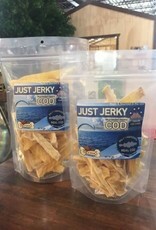 NOT INTENDED TO BE FED AS A MEAL.